Blast boring bath time into a fun and fizzy adventure! This kit contains everything you need to make your own fizz-tastic bath bombs – whether you want to enjoy them yourself or pass them on as the perfect present for friends. Ever wanted to bring some magic to bathtime with a swirly, sparkly unicorn? How about create a hatching dinosaur egg? Maybe you want to express the day you’re having with a personalised smiley bath bomb? 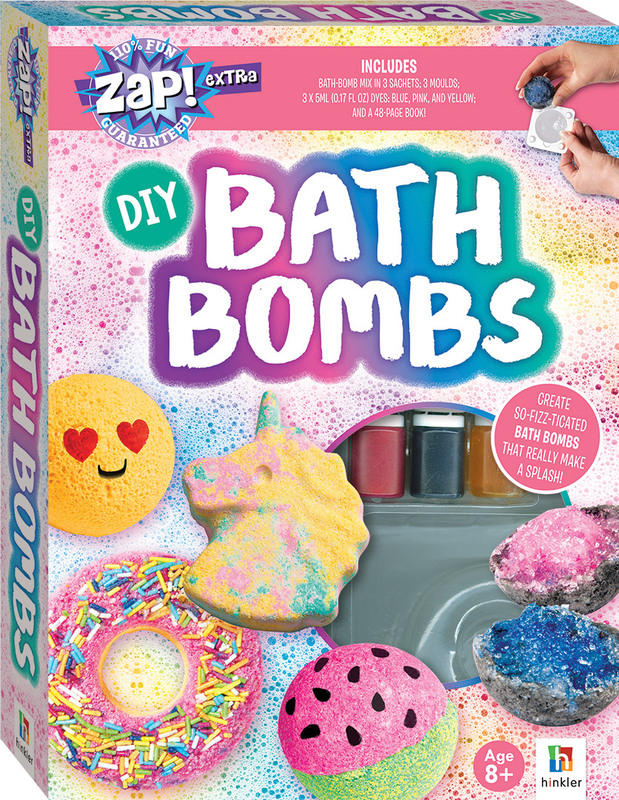 Or, for the ultimate dramatic experience, make a volcanic bath bomb explosion! This kit comes with all that you need to make 3 bathbombs.